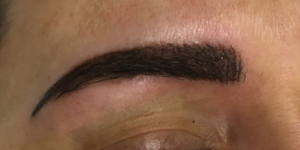 It is so difficult to know which permanent brow techniques to choose from when considering permanent makeup. 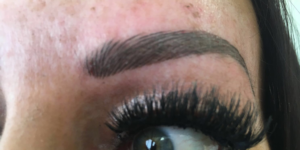 But with Naomi’s 12 years of experience she will be able to assist you in deciding which brow will be best suited to you and what you are looking for. 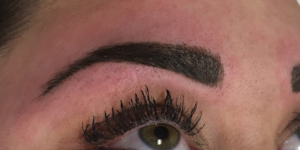 The web is full of names and different names for permanent brows so we have decided to put together some images of each brow techniques in hope you will have a clearer understanding. 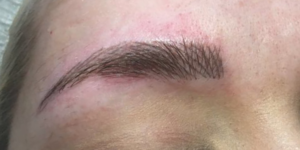 Microblading offers a very fine hair stroke, one of the most natural techniques. 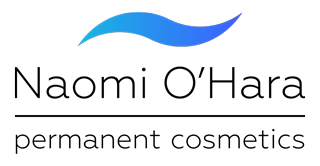 It is also where permanent makeup began many many years ago, however it has become more popular nowadays due to a trend within the celebrity world. This technique is suitable for those with little to no natural hair, for fine haired clients or those who want something very soft and natural. A popular choice for darker haired clients who want to achieve a more defined look. A technique that imitates the look you achieve when you apply brow pencil to the brow. When healed the pigment softens and the brows look natural yet defined. The combi or combination brow is a digital technique which offers the best of both ‘powdered’ and ‘hair strokes’ effects. Suitable for most and again very natural. 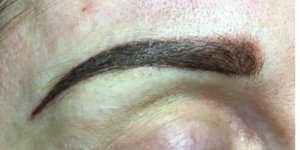 The Ombré Brow are the latest in brow technique trends. 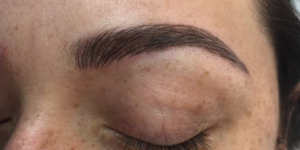 Pigment is applied all over the brow, however often 2 colours are used to create a light to dark effect, with the darker part being the tail of the brow. Also known as the Naomi O’Hara hybrid brow – the mix of an ombré brow and a combination brow or 3 brows in 1.